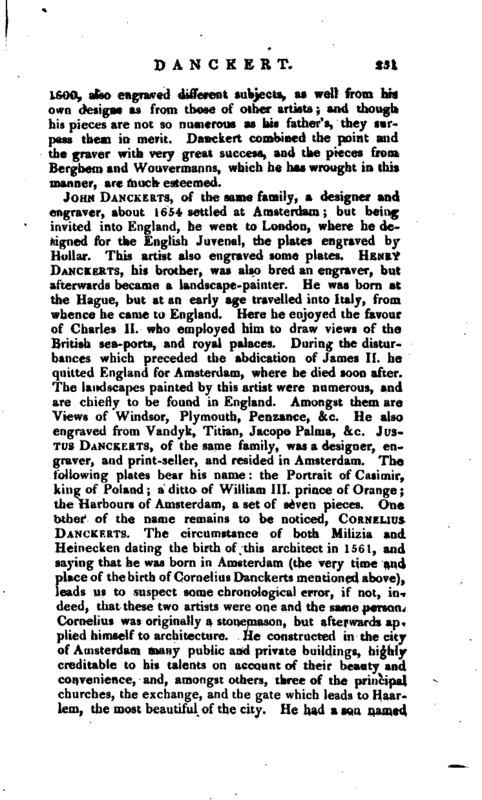 , or Danckerts, is the name of a family of engravers of considerable reputation in Holland. 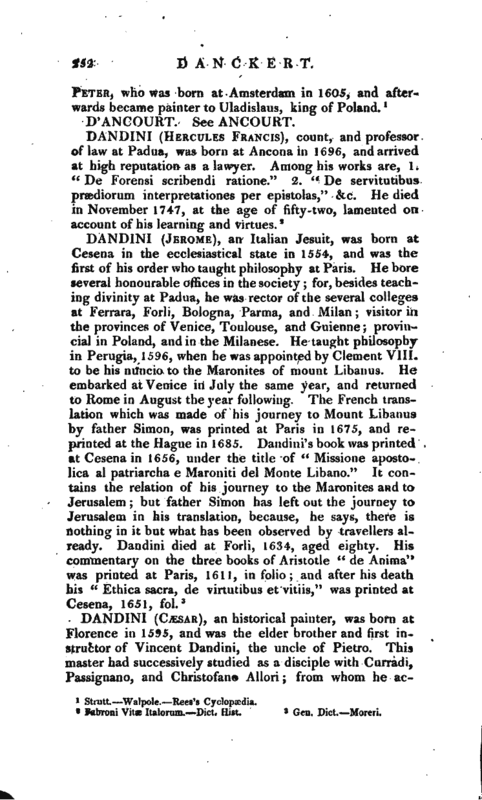 Cornelius Danckkkts, who was born at Amsterdam in 1561, established himself at Antwerp as a print-seller; but he did not suffer this employment to engross his whole time, as he engraved many portraits, landscapes, and historical pieces, as well from his own compositions as from the designs of Berghem, Rembrandt, and others. 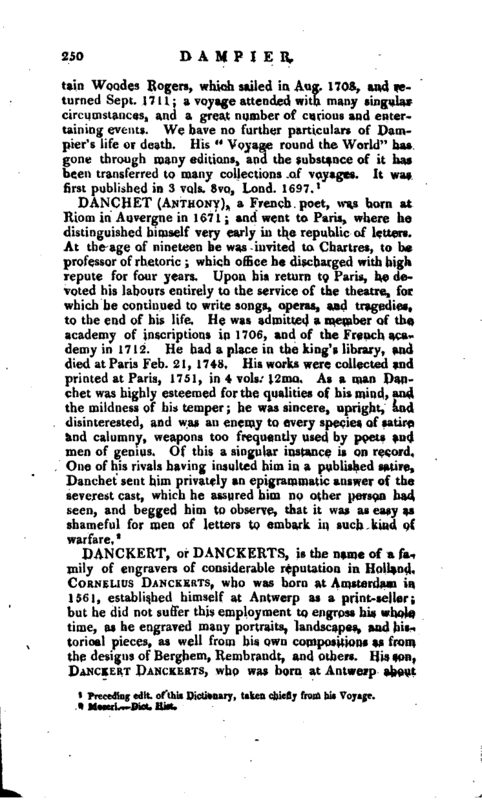 His son, Danckert Danckerts, who was born at Antwerp about | 1600, also engraved different subjects, as well from his own designs as from those of other artists; and though his pieces are not so numerous as his father’s, they surpass them in merit. Danckert combined the point and the graver with very great success, and the pieces from Berghem and Wouvermanns, which he has wrought in this manner, are much esteemed.